Next week this time most of us dads will be gearing up for a weekend of intense grilling as the 4th of July approaches. The smoky smell of ribs and burgers will soon be pouring out of backyards all across the country. It's the one time a year that most of the ladies can look forward to some consecutive days of not cooking. I've already got my grilling gameplan in place. In addition to working the "barbie," I look forward to getting our girls in on the Independence Day fun. 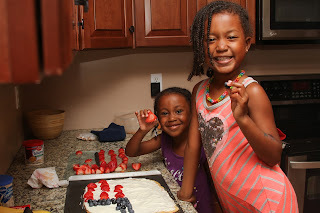 Each year they look forward to making a patriotic themed dish or two with mom and dad. 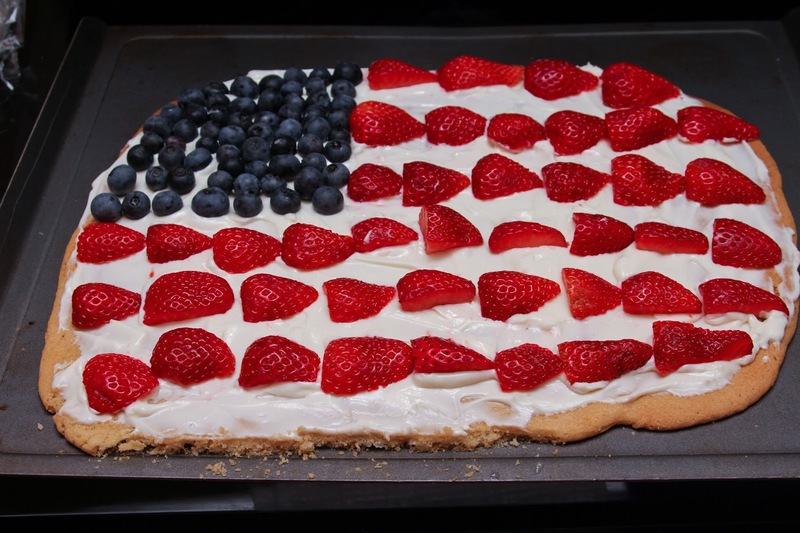 My all time favorite is our Patriotic Dessert Pizza (dad-friendly recipe listed below). 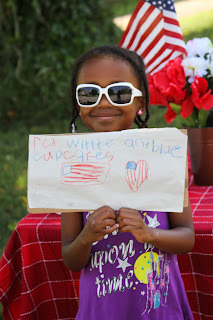 Last year, we helped them make Independence Day cupcakes to hand out to our neighbors. I think more icing got in their hair than on the cupcakes. 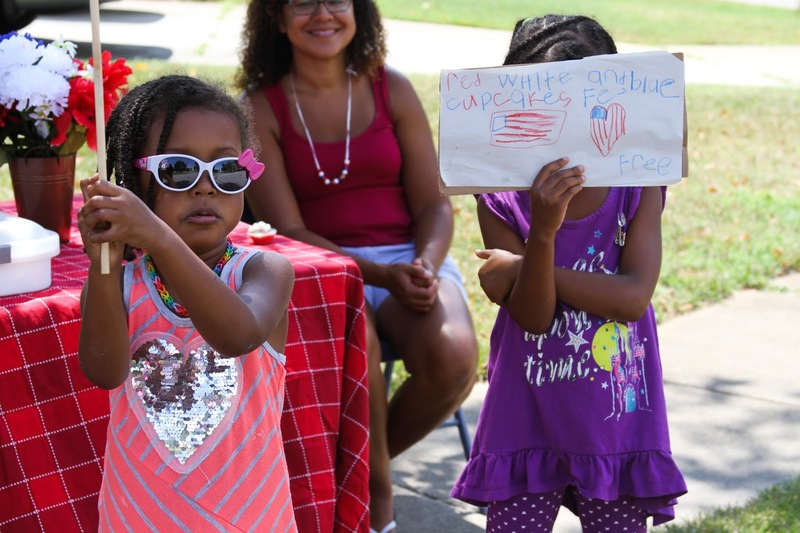 We thought about charging money, but we went with the "freedom" theme and just gave them away for nothing. 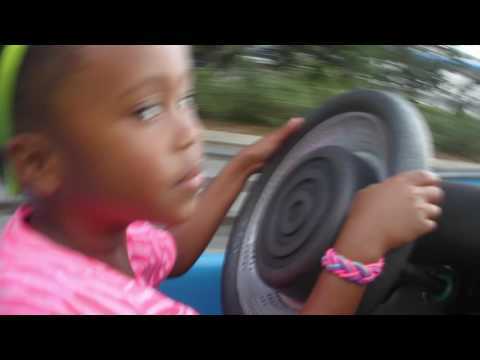 The girls really enjoyed screaming, "Free Cupcakes," at every car that drove by. Several neighbors stopped by our table for a free treat with a few of them insisting on donating anyway. The whole point of all this is to find a way to engage your kids even at young ages with family holidays and get togethers. It is easy to get tunnel vision when it comes to doing life. Over the years, I've learned how much my kids need to have ownership as members of our family. 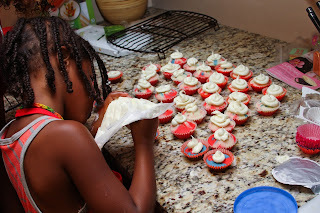 Many times as a parent we're so focused on perfect well-behaved kids that never make a mess. Some of the things that frustrate me as a parent are cries for help from kids who just want to do something constructive with me. My wife and I had to look past the vanilla frosting that will take hours to clean up (from their hair and the countertops) in order to focus on the bonding time we're creating. As someone reminded me the other day, "When it comes to kids, the days are long, but the years are quick." So, to all my dads out there, make sure you look for intentional ways to connect with your kids by making some good memories as often as you can. Happy Independence Day! 1. Mix up the sugar cookie batter according to the directions on the box. 2. Let your kid(s) shape the cookie mix into a rectangle on a cookie sheet or baking tin. 3. Place in the oven and bake according to directions on box. 4. Remove cookie from oven and let it cool to room temperature. 5. Let your kid(s) open the vanilla frosting and spread evenly across room temperature sugar cookie. 7. 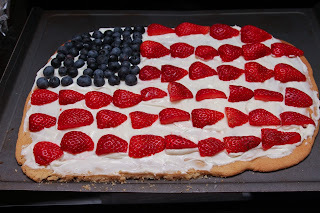 Arrange strawberry halves in rows leaving a 1 inch row of frosting between rows of berries leaving room for the stars area in the top left of sugar cookie. 8. Add blueberries to create the star area in the top left of sugar cookie.